This bouquet is the very picture to show the birthday person just how much you care. The luxurious lilies, roses, and pistacia that are arranged together not only look lovely, but this bouquet also fills the air with the sweetest smell! 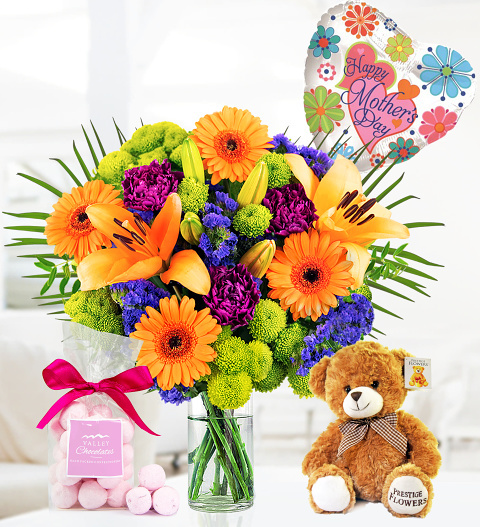 Spoil Mum your lucky recipient with these luxurious flowers, a bottle of sparkling Moonstone wine (75cl) and a beautiful bear accompanied with some delicious bonbons.